The talking points below delve into some of the implications of banning new climate-damaging projects in NSW. These talking points may be helpful when you are encouraging NSW state MPs to support adoption of the No More Bad Investments (NMBI) model legislation. These talking points assume that the person you are talking with accepts that at least some action is necessary to tackle the climate emergency. With NMBI legislation in place and carefull planning, taking into account likely closure dates of aging coal-fired power stations and potential depletion dates of current coal and gas sources, NSW can have more renewable electricity generation and grid-level storage in place in plenty of time to ‘keep the lights on’. Forests absorb carbon dioxide from the air during photosynthesis, releasing oxygen back into the air and storing captured carbon in trunks, branches, roots, and soil. When a branch drops or a tree eventually dies, the actions of microbes, fungi, and insects hasten its decomposition so that the carbon captured in the wood replenishes the forest soils. If left intact, with its lifeforms undisturbed, the forest does this most efficiently. Likewise, if left intact, forest soils hold and store the carbon. Forests were afforded their own article in the Paris Agreement (United Nations Framework Convention on Climate Change 2015) because they are so critical for their role in sequestering and storing atmospheric carbon. Protecting native forests, rather than logging them, is the most effective way to draw down excess carbon dioxide from the atmosphere. In 2018 NSW government is intending to make a new agreement with the federal government to renew expiring Regional Forest Agreements (RFAs) and so entrench industrial logging of NSW native forests in excess of 20 years. When established in the late 1990’s with an intended duration of twenty years, RFAs did not take into account disruption to the forest carbon cycle by industrial logging. We now understand how RFA logging releases carbon previously ‘stored’ in native forests back into the atmosphere. Industrial logging degrades carbon stocks and they begin to function as a carbon source instead of a great natural carbon sink (Montreal Process Implementation Group for Australia and National Forest Inventory Steering Committee 2013, ABARES 2015). Industrial logging of native forests is responsible for 15-20% of Australia’s total CO2 emissions, the equivalent of that from the entire transport system (Blakers, M, 2009, and Blakers, M, 2011). A multi-aged, multi-layered intact native forest is carbon dense (Keith et al. 2009) but we have permitted 44% of that carbon to be lost from Australia’s forests (Wardell-Johnson et al. 2011). A logged forest loses between 40 and 60% of its carbon stocks (Roxburgh et al. 2006, Mackey et al. 2008), so it is clear that significant carbon emission reductions can be made by ending native forest logging (Keith et al. 2014, Keith et al. 2015, Macintosh et al. 2015). To lower emissions we must protect native forests. To protect native forests we must not renew or allow to be extended the now expiring NSW Regional Forest Agreements. Instead we must restore native forests to re-attain maximum efficiency as a carbon sink. Burning wood biomass immediately releases carbon dioxide into the air. In addition the logging to supply the wood biomass destroys the capacity of the forest to store and absorb carbon. Left to grow the forest will go on absorbing and storing exponentially more carbon as it matures, through ever-spreading canopies, larger (carbon) dense trunks and branches, and the extensive root systems beneath and along the forest floor. The international wood biomass for energy/fuel trade is a major driver of the industrial logging severely degrading world forests. Greenhouse gas emissions from forest degradation are now double those of the previous decade – from an average of 0.4 Gt CO2 yr-1 in the period 1991–2000 to an average of 1.0 Gt CO2 yr-1 for 2011–2015 (http://www.fao.org/docrep/009/j9345e/j9345e07.htm). To ‘re-absorb’ the carbon released by the logging and burning of forests will take centuries, time we don’t have. As the global extinction rate is already catastrophic and increasing exponentially, forest dependent organisms cannot endure this trend, nor will most lifeforms on earth cope with further loss of the critical global forest carbon sink. For this reason forest wood biomass should not be regarded as or promoted as being a renewable, i.e. a carbon neutral form of renewable energy. Vested interests underpin flaws in international carbon emission accounting that allow subsidies to flow from directives that burning wood biomass is carbon neutral, therefore eligible for consideration as a renewable. It’s not carbon neutral. It’s highly irresponsible. Here is what scientists really think, including an ex IPCC scientist compelled to speak publically about ‘the myth’ that burning wood biomass is carbon neutral. Meanwhile, in NSW, the government is rushing through its forest biomass agenda. Three forests furnaces are mooted for the NSW North Coast to use what is being termed ‘one million spare tonnes’ of native forest biomass. It’s not spare. It’s trees that desperate animals need to live in, and which would absorb more and more carbon if left standing. The industry refers to this wood as ‘residues’ but examination of the legislation reveals that it permits the burning of whole trees. Under the proposed National Energy Guarantee (NEG) which would remove the Renewable Energy Target, coal and wood biomass are still promoted. By deeming wood biomass also a ‘dispatchable’ power source, and by directing that energy retailers must purchases a complement of ‘dispatchable’ power, an energy market for wood biomass could be created. Globally, vested interests manipulate governments to extend the wood biomass carbon neutral myth. 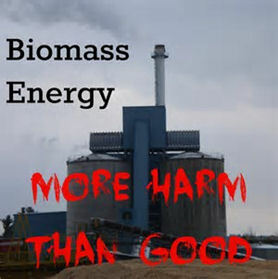 Governments claim to be meeting emission reduction targets by reporting the percentage increase in renewable energy uptake, never really accounting for the emissions created by wood biomass energy. The wood biomass energy emissions are not accounted for in the energy sector as they are assumed to be accounted for in the land use sector, which they are not, at least not with any accuracy. Those supplying the wood biomass trade simply claim they have sourced the wood from sustainably managed forests. As recently as January 2018 the European parliament failed to support genuine renewable energy initiatives when it had an opportunity to reverse the European Union’s (EU) disastrous Renewable Energy Directive which, since 2009, has encouraged Member States to burn wood for ‘renewable energy’. In practice, climate impacts are already threatening lives and our well-being, so a more realistic target would be to reach net zero emissions absolutely as quickly as possible and to go beyond net zero emissions by drawing down the excess carbon already in the atmosphere. It makes no sense to continue to allow new climate-damaging projects that will make achieving climate targets harder, particularly in cases where climate-safe alternatives are already available. New coal mines and gas wells are a particular concern since most, if not all, coal and gas from NEW extraction projects will be exported. Exported fossil fuels do not count against reaching local carbon reduction targets. Even if NSW meets its net zero emissions target, the actual climate benefit of doing so could be completely(?) wiped out by the climate harm caused by allowing NEW fossil fuel exports. According to NSW government resources and energy data, NSW received $1.08 billion in coal royalties in 2015-2016 from ALL its existing coal mines, so the amount in royalties NSW would forgo by banning a new coal mine (or extension of existing ones) is clearly not enormous. A figure is not given for gas royalties, but the total royalty figure from ALL sources other than coal (minerals and gas) was $106 million in that year, so banning new gas wells is unlikely to reduce future royalty revenue by much. 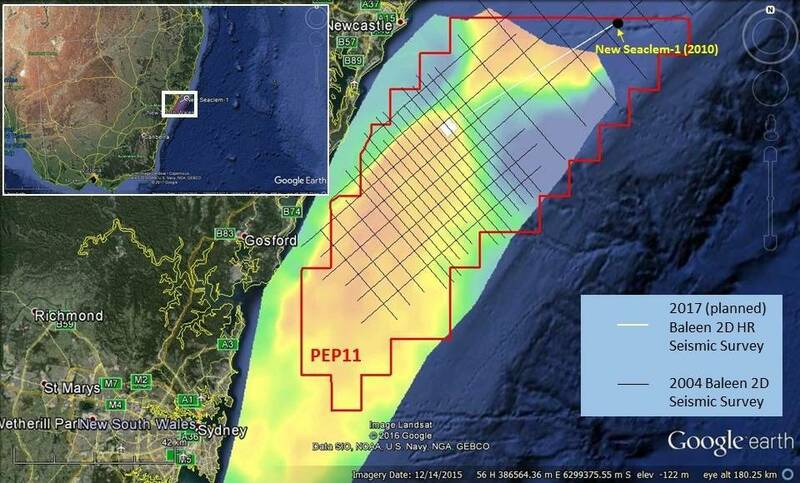 NOPSEMA recently approved exploration for gas off the NSW coast. Since this is offshore, NSW would receive no royalties for any gas extracted. The extracted gas would be subject to Petroleum Resource Rent Tax (PRRT) payable to the Federal Treasury, but due to the way the PRRT is set up, no PRRT would be payable for at least a decade, and in the meantime PRRT ‘credits’ would offset any income tax liability. 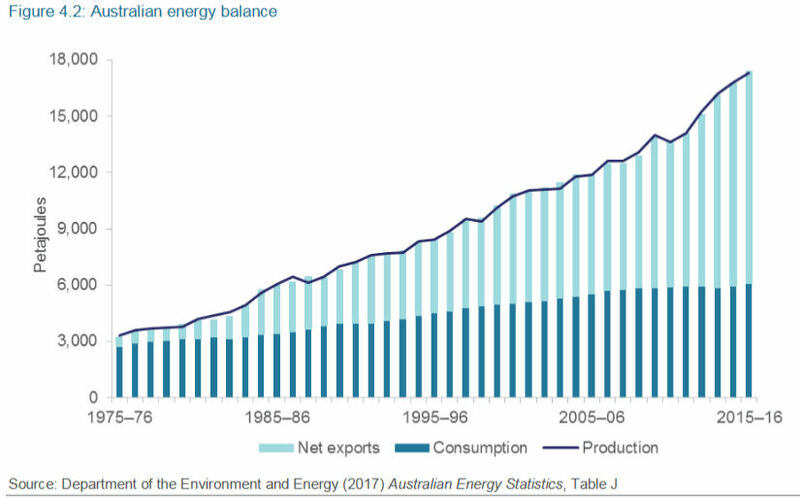 What’s more, since we really don’t need any more gas for use within Australia, it is almost inevitable that most if not all of the extracted gas would be exported. Exported fossil fuels don’t count against reaching NSW carbon reduction targets, but the climate harm from burning exported gas could potentially wipe out any actual climate benefit of reaching our targets. In the case of native forest logging the Australian public is losing money. To renew expiring Regional Forest Agreements (which legislate to permit native forest logging) would therefore be uneconomic. The NSW Forestry Corporation softwood plantations cross-subsidise native forest logging to such an extent that the industry is determined to attempt to enter the renewable energy market, and is therefore claiming that burning native forests for energy is carbon neutral. Across the country state logging agencies do not return profits and receive more than tens of millions of dollars worth of subsidies from state treasuries every year (see The Australia Institute 2016 report, Barking up the wrong trees: Forest Products Commission (FPC) and the performance of its native forestry). There have been numerous government “stimulus packages” and multi-million dollar “exit payments” to encourage loggers out of native forests ($13 million in Victoria in 2003 alone, Victorian Auditor General’s Office, 2003). NSW native forest logging cost taxpayers $79 million in direct subsidies between financial years 2009-10 to 2014-5. This is independent of the subsidisation of a series of failed experiments for converting native forest wood to forms suitable for co-generation with coal. These millions in losses exclude an economic valuation of the loss of water, the conservation value of the forests, or recreation amenity due to forest destruction. For climate reasons it is imperative to leave native forests standing, but it also makes economic sense to do so. Currently the NSW government deals with endless submissions and appeals related to threats to groundwater, endangered species, soils, native title, etc., whenever it receives an application for a new fossil fuel or forestry-related project. Under NMBI legislation, there would be no new fossil fuel project or native forest logging applications.